I made this cake for my niece Addie’s 2nd birthday. I made a regular sheet cake, and used rolled fondant. I printed an online picture and used it to cut out the fondant shapes. I used an edible marker for the mouth and details on the eyes. I also included some sparkles to make it a little more "girly!" 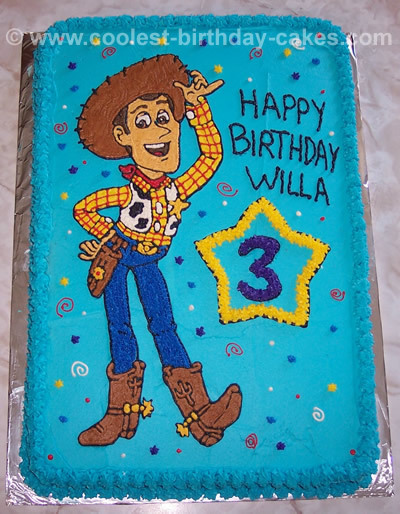 My son told us he wanted Woody on his cake for his third birthday. My husband immediately went to work looking for special cake frosting recipes and designs. He made two sheet cakes (13×9) and froze them (easier to cut a frozen cake). 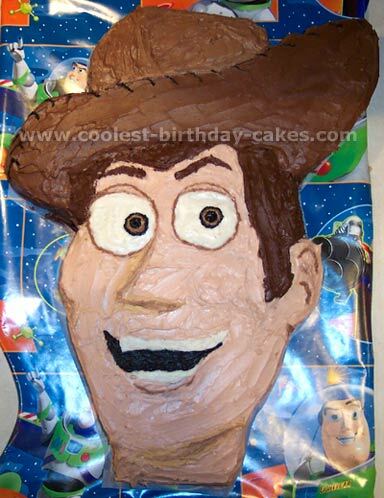 One sheet cake was used as Woody’s face (vertical), one for his hat (horizontal). Working on the face first, he cut away parts of the cake to shape into Woody’s face (he did this freehand though, we did have a picture of Woody that we blew up for a guide). He then mixed white icing with yellow and red food coloring to make the flesh color of the face. 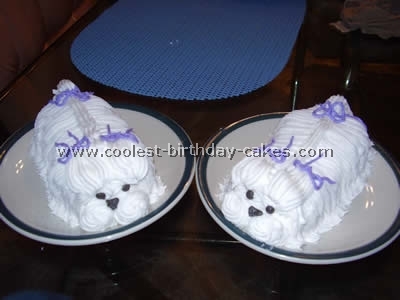 He left space for plain white icing for the eyes and mouth, filling them in later with the appropriate colors. He then went to work on Woody’s hat- shaping it by cutting away at the cake freehand. He used chocolate icing for the hat and Woody’s hair. To make the hair he added a little black food coloring for a different shade than the hat. 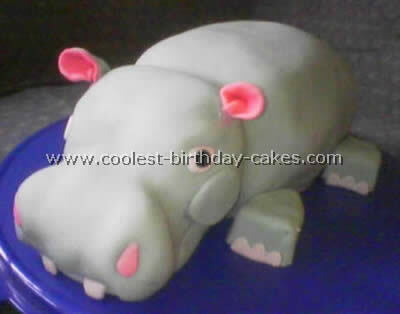 He mixed white and chocolate icing to make the shadowing around the eyes, ears, and chin to make it more 3D – using a toothpick to add the touches. This cake frosting recipe took him 4 hours total. It was worth it when we saw the look on our son’s face. 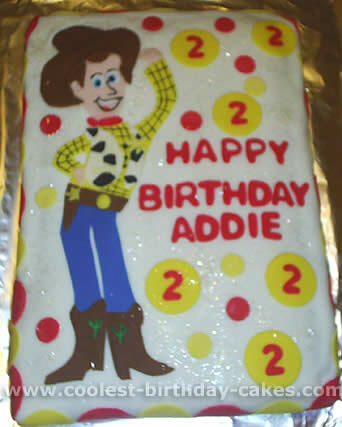 This cake frosting recipe idea was made for a little girl who LOVES Woody. I found a picture of Woody from the internet and enlarged it and traced around the edges with a toothpick. The rest is all freehand.